While Tom Clancy's The Division has been out for a couple weeks now, there are still a few lingering questions out there about co-op and the like. Fortunately, we've got some answers. How many players can play Tom Clancy's The Division locally (couch co-op)? How many players can play Tom Clancy's The Division online? How do you begin a co-op session in Tom Clancy's The Division? 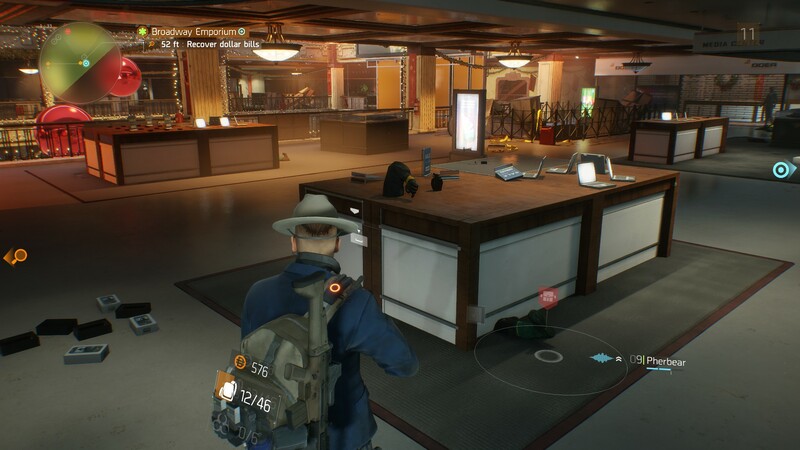 How does save game progress work for co-op play in Tom Clancy's The Division? Are loot drops just for me, or are they a free-for-all? 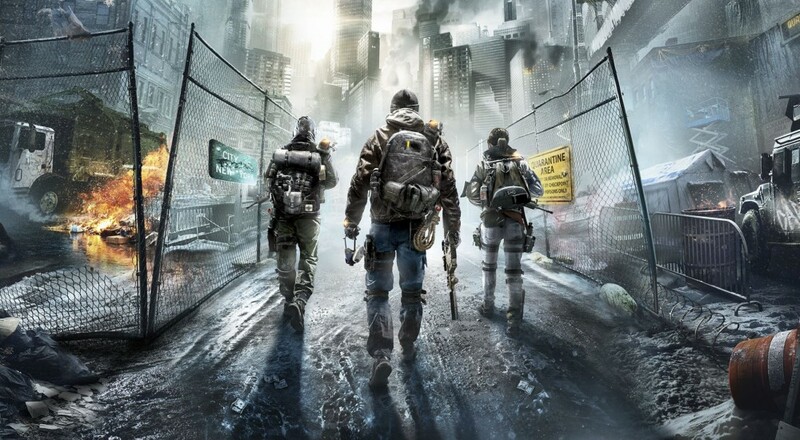 Can I join a game if the host is further along than me in Tom Clancy's The Division? What does Tom Clancy's The Division season pass get you? 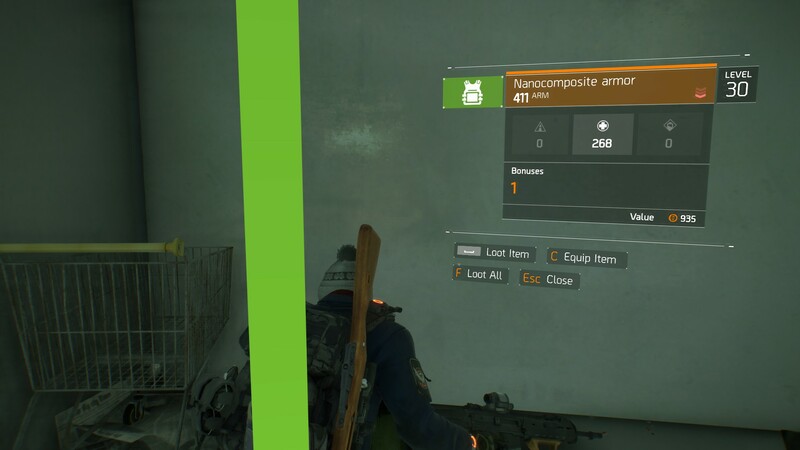 What does co-op encompass in Tom Clancy's The Division? What about "The Dark Zone?" Is that co-op? Are there other options for "high-end loot?" Can I trade loot with other players? Wasn't there supposed to be a companion app or something? Co-op sessions can be initiated in a few different ways. Any player is your friend in Uplay on PC or in your friends' list on consoles will show up automatically on your in-game map as a blue dot. You can click on the dot to be given the option to join that friend's game. Friends can also be invited by sending game invites through the respective console messaging system, or via sending an invite through Uplay on the PC. Co-op sessions can also be initiated at any of the main story missions and the safe houses. 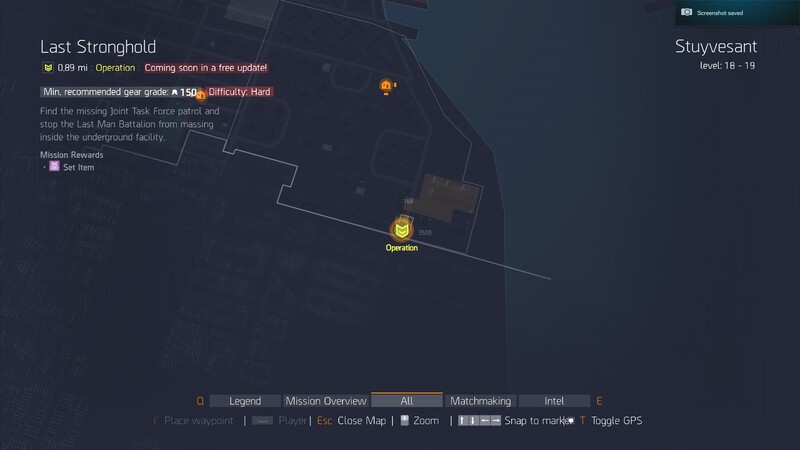 Story missions allow players to search for other players for that mission, and safe houses feature a terminal to find players that are interested in either "Free Roam" or "Dark Zone." All story mission, encounters, and side mission progress are saved to each player individually. So if you complete three story missions in a friend's game, those same three will be completed in your own. Loot drops are instanced for each player, i.e., you're the only that's able to see and pick up whatever gear an enemy drops. Any experience, credits, and loot you earn during a co-op session are saved to your character. Yes. However, there are a couple of considerations of which to be aware. First, enemies scale based on the highest level player in a session. So, for example, if you are a higher player level than your friend, then all enemies in that friend's game will be scaled up to be more appropriate for your level. They will stay at that level until your friend logs out of his/her game and logs back in. 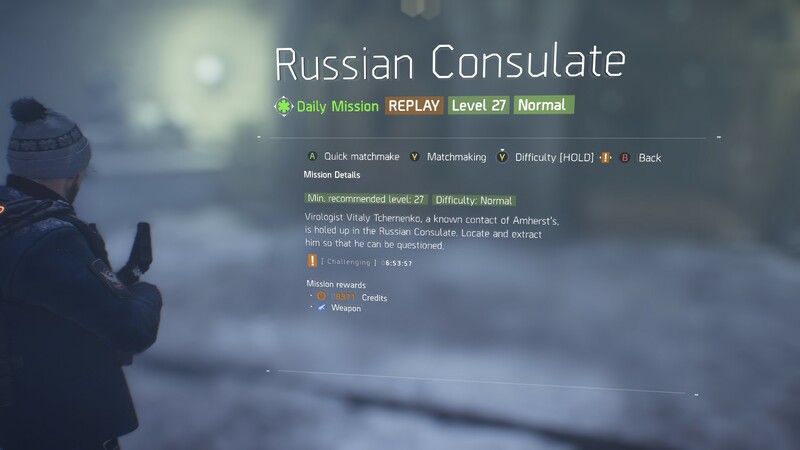 Second, any encounters or side missions your friend has completed and you haven't are not available to you in your friend's session (they can still be done in your own game). All story missions can be replayed and anyone who has not completed that mission previously will earn the full rewards for doing so. The Season Pass of The Division will get you three pieces of paid DLC: Underground, Survival, and Last Stand. The exact details of what each of these pieces of DLC will include has not been revealed by Ubisoft yet. All that is known at the moment is that Underground will "send you to hunt enemies in the vast mazes of tunnels and subways that run under Manhattan," Survival will "challenge you to survive for as long as possible in a very hostile environment while gathering supplies and equipment," and Last Stand will "challenge players with a new, relentless threat." Underground will be released first this June 2016, with Survival following later in the summer, and Last Stand sometime in the winter. Each will have be available for one month on the Xbox One exclusively before being released onto other platforms. The two free updates that will be released in April and May are not part of the Season Pass and will be provided to everyone. Everything. From roaming about the streets of New York to participating in story missions, you can complete the entirety of The Division with friends. It's mixed. The main purpose of the Dark Zone is to fight high level enemies for better gear than you would find outside of the Dark Zone. The catch is that you cannot use that gear right away. You must first successfully extract it from one of the designated Extraction Points, which entails waiting for 90 seconds for a helicopter to appear and then attaching your gear bundle to a rope. Should you be killed by an enemy NPC, you will lose that gear along with some Dark Zone experience and credits. That part of it is PvE. However, other players may kill you to take the gear you've acquired, so there are PvP elements involved as well. Think of it as "friendly fire" mode being turned on, but it's not just your teammates that can shoot you. Yes, but they are limited at the moment. There are daily missions you can complete for 15 Phoenix Credits each. These credits are a special currency that can be used with a special vendor in your main Base of Operations to purchase better gear. This is your only other option until the first free update to the game arrives sometime in April 2016. This update will add the equivalent of a raid to the game, called "Incursions," which will offer unique high-end gear. The ability to trade loot with other players will be added to the game as part of the free April update that will include the first "Incursion" event. The companion app was canned last summer. Tom Clancy's The Division: The C-Team - Nick Gets a Scarf!